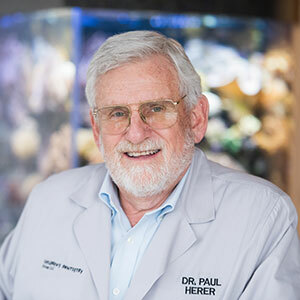 During high school and college, Dr. Herer or “Doc”, worked as a lifeguard and swimming instructor. He also served through YMCA programs by teaching kids and teens boating, canoeing, sailing and water safety. Doc earned a Bachelor of Science from Fairleigh Dickinson University in 1972. He then obtained his D.M.D. from the University in 1974. In 1976, he completed his residency in Pediatric Dentistry at Children’s Memorial Hospital (now Lurie’s Children’s Hospital) in Chicago. He also earned a Master of Science from Northwestern University in 1976. To stay abreast of the latest in children’s dentistry, Doc regularly takes professional development courses. He is a Diplomate of the American Board of Pediatric Dentistry, and a Fellow of the American Academy of Pediatric Dentistry. For Doc, having the knowledge, skills and experience to help his young patients with their dental needs is gratifying. His considerable experience also allows him to help his colleagues and team members, so they can enhance their abilities. Passionate about spending time on the water, Doc particularly enjoys sailing and fishing. Presently, he holds a U. S Coast Guard Master Mariner’s License. He also enjoys reading, mostly historical nonfiction. We look forward to helping your children achieve and maintain a healthy smile. Book an appointment with Doc today!